Most Saturdays we find ourselves in Eldon Square. Even if we don't have much cash to spare we love to spend the day pottering around Newcastle window shopping. This usually results in us spending much longer than we anticipated in town and frantically trying to decide where to go for lunch. 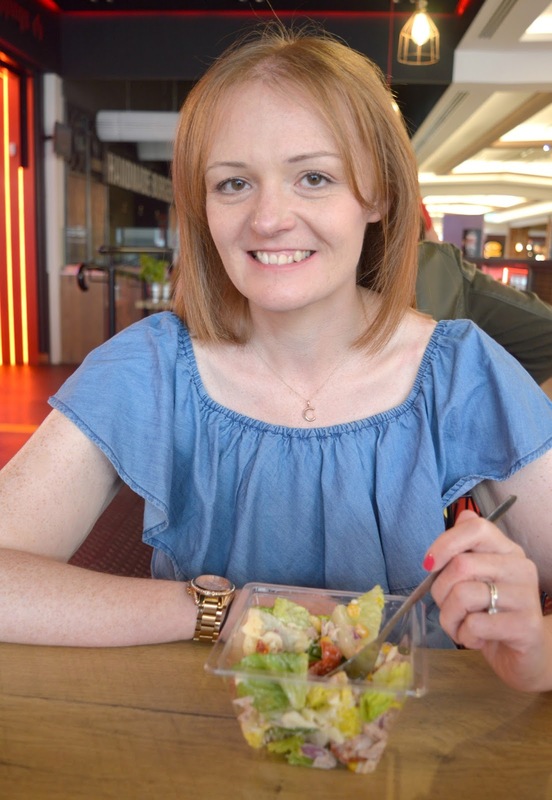 Although it certainly seems from my Instagram that we spend most of our lives eating ice cream I promise you that on an average day we try very hard to make healthier choices which isn't always easy when you're in the middle of a shopping centre. 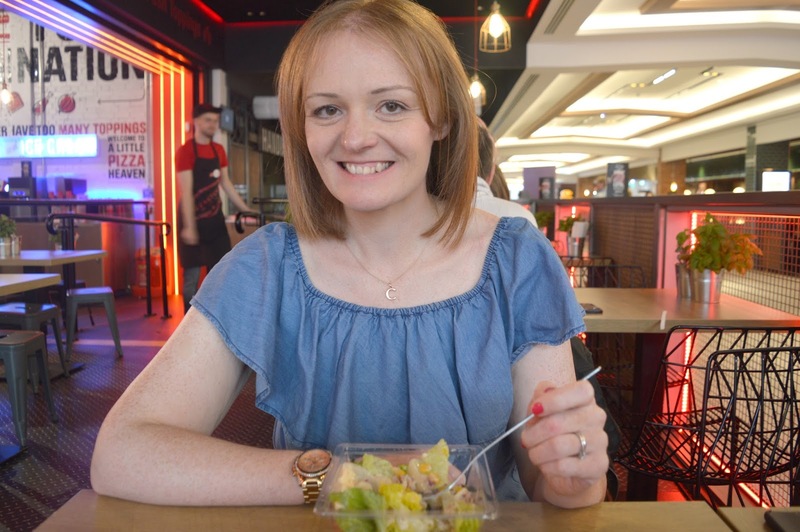 So we were very pleased to discover that PizzaStorm in Eldon Square have recently launched a brand new salad bar where you can create your own healthy lunch, perfect for a mid morning shopping break. As someone who eats homemade salad every day for lunch I know that it can be pretty hard to get excited about salad, I mean who wants to eat a pile of leaves when there's pizza on offer? 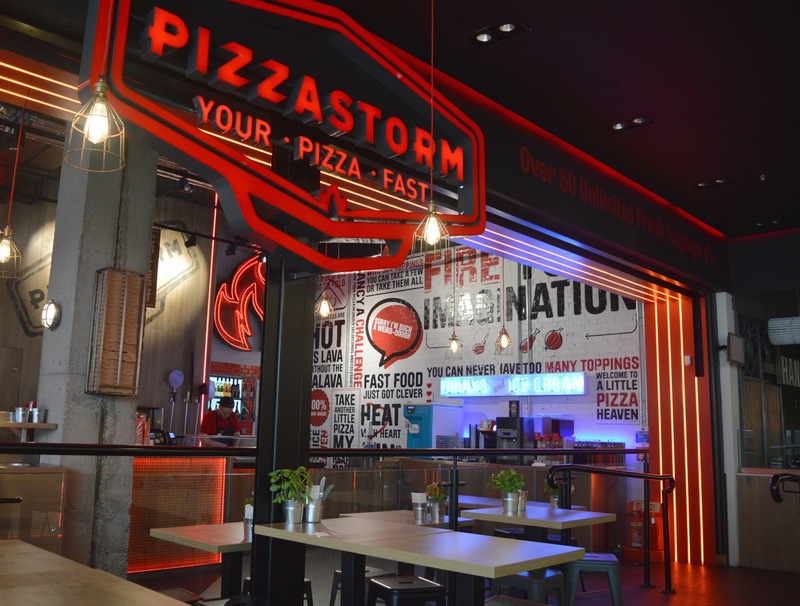 But the salads at PizzaStorm are actually really fun to make with unlimited toppings to choose from. 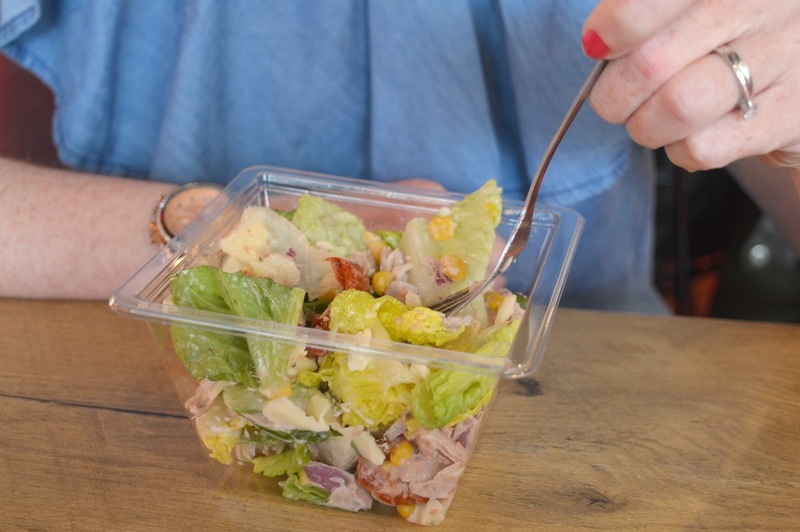 Choose from a Large or Small Salad, select your lettuce base, choose your cheese, add some healthy veg, pick your toppings (be as good or as naughty as you like!) and finish with some dressing to make yourself a tasty lunch. When creating our salads my biggest problem was choosing what to have. With pots upon pots of salad toppings on offer I was stuck in the line for quite a while trying to create my perfect lunch. I felt sorry for the people behind me as I tried to make a decision on what lettuce to pick and what type of cheese I wanted - give an indecisive person too much choice and they tend to struggle! So in the end I decided to follow Simon along the line, more or less muttering "the same" after every item that he picked. Romaine Lettuce, some Mozzarella, Red Onion, sun dried tomatoes and a drizzle of caesar dressing, I think the only choices I made myself were when we got to the meats. He started throwing all kinds of meat into his salad whereas I opted for a nice simple tuna. The biggest surprise for me was the quality of the salad. I've often found in similar restaurants that the lettuce can look very brown and withered but at PizzaStorm every leaf was full and green and all of the veg was looking delicious. Such a relief as there's nothing worse than a wilting salad! With our salads created we found ourselves a seat and our salads arrived at our tables a few moments later. I wasn't sure what to expect but was suitably impressed by our plastic pots. 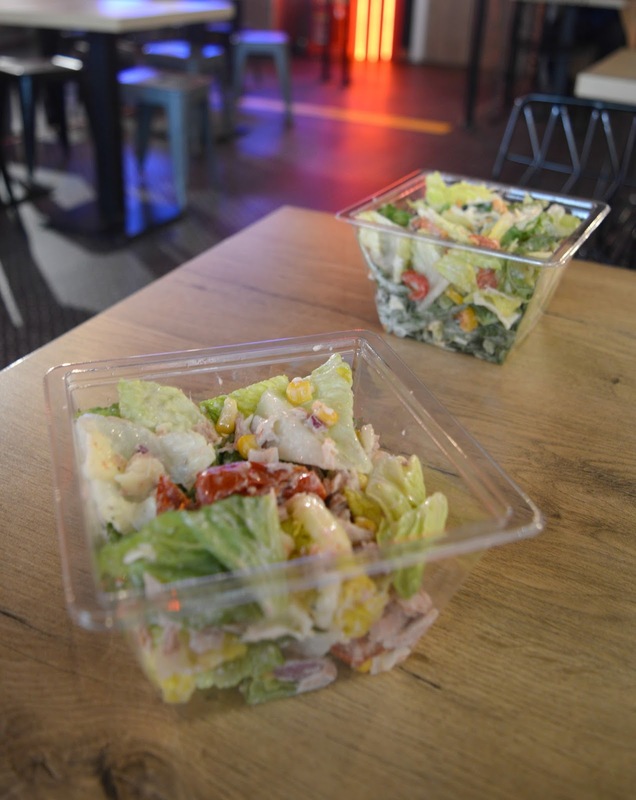 The salads had been mixed to perfection and were nicely packaged ready to go or easily enjoyed in the restaurant. As soon as we started tucking in I actually forgot we were in a pizza restaurant, I had no cravings at all and was thoroughly enjoying my lunch. Who knew a salad could be this good! Simon has actually been banging on about the salads ever since we visited so something tells me we'll be now be in PizzaStorm every Saturday lunchtime tucking into a salad - I guess we'll see you there! We received complementary salads for review purposes, all opinions are our own. It's nice to know they offer healthier options so friends can eat together if they have different tastes/are watching their weight. How much is a salad? I couldn't remember the prices and they're not on the website! doh! I think the salads are about £4.95 ish maybe, I'll have to go back and check next time I visit! They do have rocket but it's at the opposite end to the other lettuce for some reason so just ask at the beginning and they should have some! It's seriously good!